Walter Trout has never sounded so alive. The date is November 28th, 2015. The location is Amsterdam’s opulent Royal Theatre Carré. And the occasion is a live performance of the blues-rock legend at full-throttle. 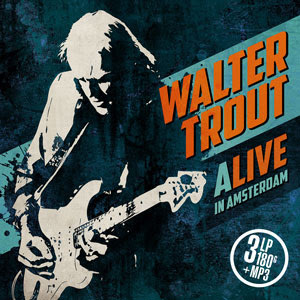 “We were rocking,” remembers Trout of the comeback concert captured on ALIVE in Amsterdam. “If people are expecting a laid-back show, that’s not what they’ll get. This is potent stuff…” ALIVE in Amsterdam is available now on triple 180 gram vinyl, double CD and digital download.